Magento is a famous ecommerce platform and using in many ecommerce websites. It is so popular and many ecommerce business owners already switched to Magento platform. You do not have to be a professional developer to make changes. However, for customization, upgrade or big tasks, you always need professional Magento development services. Reasons Why you should Hire expert magento developer! Magento is easy to handle and a rookie can manage it very easily. But when it comes to high-end development you have to be experienced in it. Because an small mistake can ruin your website very easily. A high-end ecommerce website always delivers error free checkout. And to get error free navigation to checkout page an experienced magento developer is required. A rookie will cost you a low amount but it is not always successful. To give error free checkout process, always hire an expert magento developer. Inexperienced magento developer will cost you low amount and on the other side you may have to invest big amount while hiring an expert magento developer. But there is a benefit in hire expert magento developer as it is cost effective in the long run. 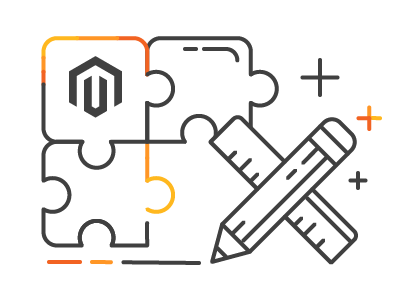 Why hire mageWebin as Expert Magento Developer? Do not compromise with Quality.